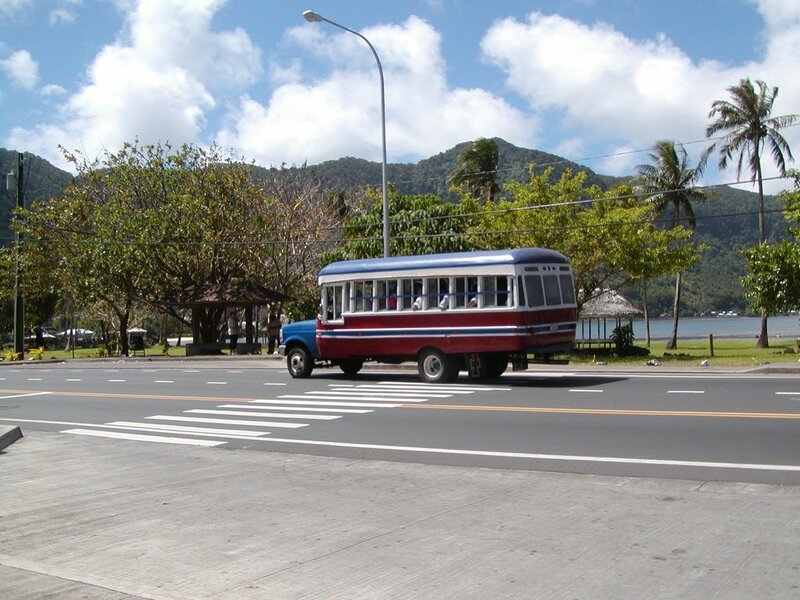 The busses of American Samoa are 100% homemade and attached to all sorts of trucks from tiny Toyota's to big Fords like the one pictured. They all feature really loud music with lots of bass that makes conversation on the buses impossible. Smoking is also allowed so the busses are not too pleasant. But for $1 US you can go anywhere on the island.